The Emperor penguin is currently under consideration for inclusion under the US Endangered Species Act. Criteria to classify species by their extinction risk are based on the global population dynamics. The study was conducted by lead author Stephanie Jenouvrier, a biologist with the Woods Hole Oceanographic Institution (WHOI), and colleagues at the Centre d’Etudes Biologiques de Chizé (French Centre National de la Recherche Scientifique), the National Center for Atmospheric Research, the Cooperative Institute for Research in Environmental Sciences, and the University of Amsterdam. 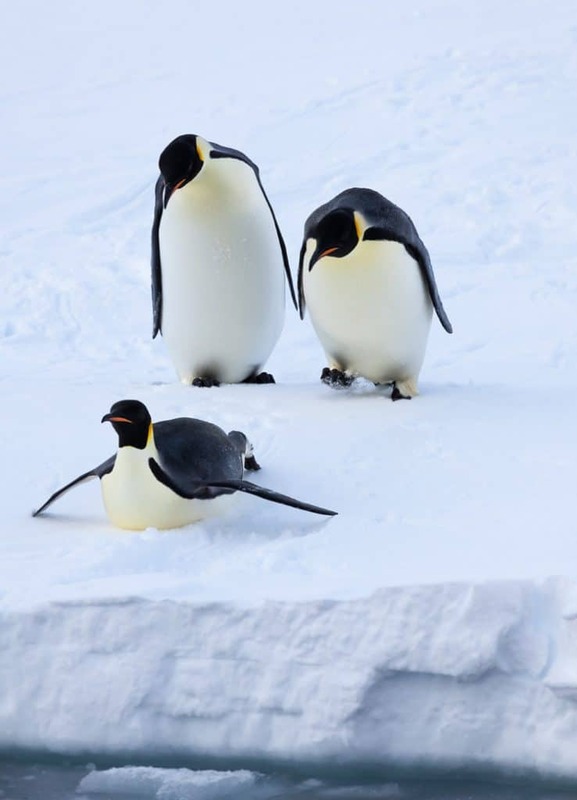 Emperor penguins are heavily dependent on sea ice for their livelihoods, and, therefore, are sensitive to changes in sea ice concentration (SIC). 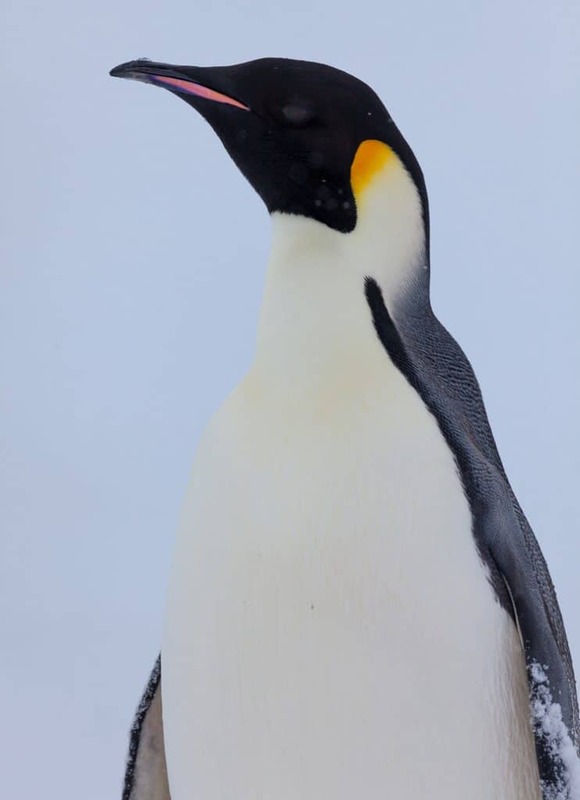 The researchers’ analysis of the global, continent-wide Emperor penguin population incorporates current and projected future SIC declines, and determined that all of the colonies would be in decline – many by more than 50 percent – by the end of the century, due to future climate change. 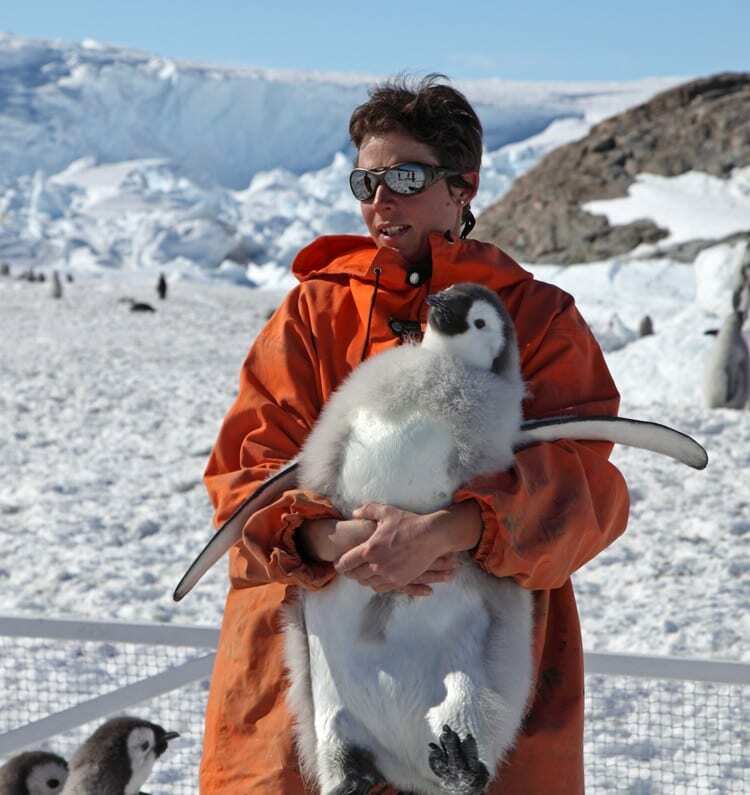 The foundation for the research is a 50-year intensive study of the Emperor penguin colony in Terre Adélie, in eastern Antarctica, supported by the French Polar Institute (IPEV) and Zone Atelier Antarctique (LTER France). Researchers have been returning to Terre Adélie every year to collect biological measurements of the penguins there, charting the population’s growth (and decline), and observing their mating, foraging, chick-rearing patterns, and following marked individuals from year to year. “Long-term studies like this are invaluable for measuring the response of survival and breeding to changes in sea ice. They provide our understanding of the role sea ice plays in the emperor penguin’s life cycle,” said Hal Caswell, a scientist emeritus at WHOI and professor at the University of Amsterdam. The data from Terre Adélie were an essential component of two earlier studies by Jenouvrier, Caswell, and their team: a 2009 study published in the Proceedings of the National Academies of Science and a more detailed 2012 study in Global Change Biology that showed the Terre Adélie population was likely to decline by 80 percent by the end of the century. The new study expands on that work, by using the previous population models to project how all of Antarctica’s 45 known colonies will respond to future climate change. Those projections are based on the current SIC at each location and on changes in SIC at each location, projected by the best available climate models. Those models, part of the IPCC effort, incorporate the physical processes in the atmosphere, ocean, cryosphere and land surfaces. The researchers found that, while some colonies will increase for a while, this growth is short-lived. By the end of the century at least two-thirds of them will have declined by more than half. Of even more concern, all of the colonies are projected to be declining by that time. Although current climate models do not look further into the future than that, a dramatic change would be required to reverse these declines. 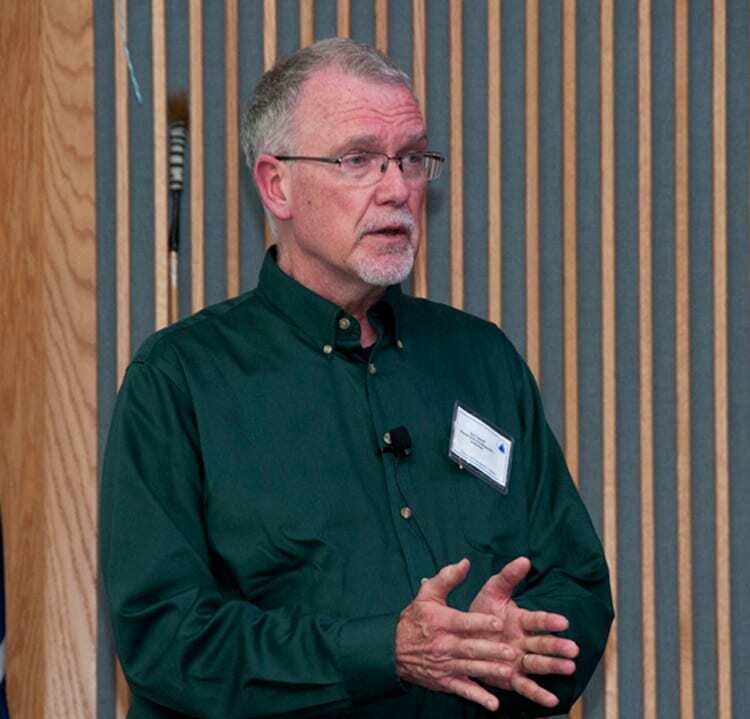 The team’s study acknowledges the special problems of defining conservation criteria for species endangered by future climate change, because the negative effects of climate change may build up over time. “Listing the emperor penguin will provide some tools to improve fishing practices of US vessels in the Southern Ocean, and gives a potential tool to help reduce CO2 emissions in the US under the Clear Air and Clean Water Acts,” Jenouvrier said. The authors offer recommendations and considerations for new international conservation paradigms, including the identification of potential refuges for preserving populations. They point out that Ross Sea will be the last place impacted by climate change, and that conservation management strategies should focus there. The Centre d’Etudes Biologiques de Chizé is a public research laboratory from the French National Centre for Scientific Research and the University of La Rochelle, France, dedicated to the study of the ecology, evolution and conservation of vertebrate populations. For more information, please visit www.cebc.cnrs.fr. The French Polar Institute (IPEV) is a public funding and logistics agency dedicated to polar research. For more information, please visit www.institut-polaire.fr. The Zone Atelier Antarctique (ZATA) is a public long term ecological research federation supporting long term research programs in polar ecosystems. For more information, please visit za-antarctique.univ-rennes1.fr.